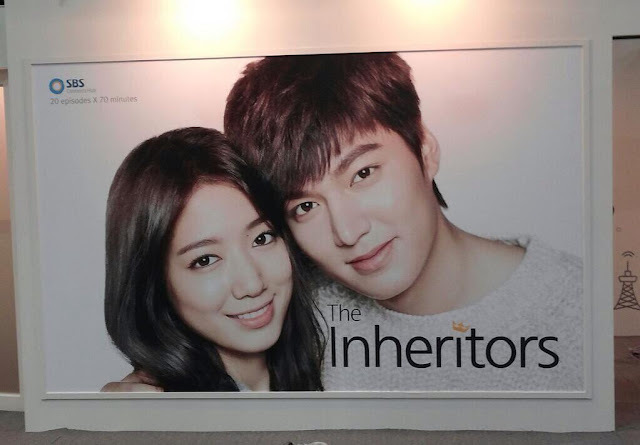 So, finally SBS has finalized the official English name of the highly anticipated drama starring Park Shin Hye & Lee Min Ho - The Inheritors. One may ask: What? How'd you know? At SBS Contents Hub's official counter set up at Broadcast Worldwide 2013 (글로벌미디어포럼) at Seoul's largest mall COEX, the 1st official drama photoshoot / poster photo is revealed, along with the name 'The Inheritors' boldly printed onto it (notice the little crown on the name? So cute!). 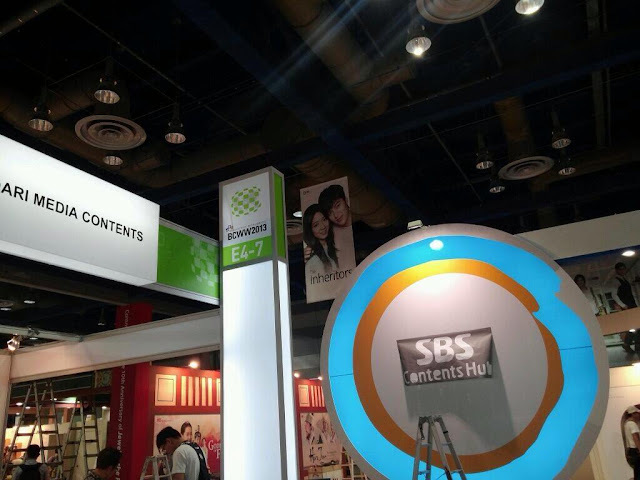 It looks like SBS will be selling the broadcasting rights of The Inheritors to a number of foreign countries too, as it is exhibiting the drama at Broadcast Worldwide 2013 - a platform for TV channels from around the world to exchange their hit shows. Along with the poster, it is also revealed that the drama will have 20 episodes. Each episode is 70 minutes long, which is 10 minutes longer than the average drama episode. I hope for this drama success and good ratings. They looked great as a couple ! Man I can't wait to finally watch Park Shin Hye act along with Lee Min Ho! It's gonna be awesome! I can't wait for this drama to be out!!! Love you both..perfect loveteam..I can' t wait to watch your drama..goodluck and Godbless you both always!!! !